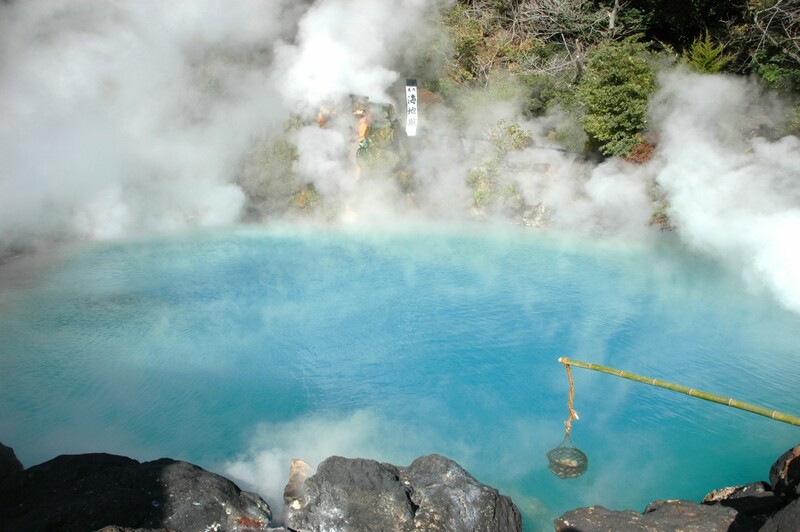 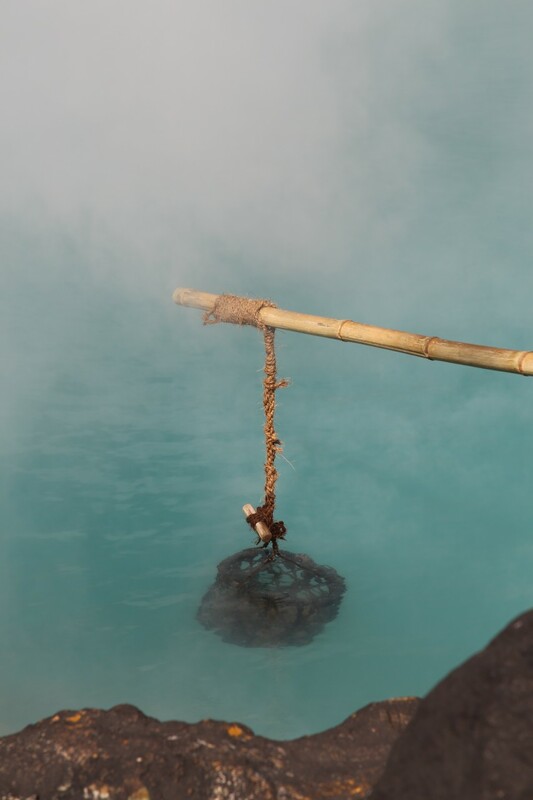 “At Umi Jigoku’s spacious garden, you may find the beautiful “Sea Hell” that features a blue pond of boiling water. 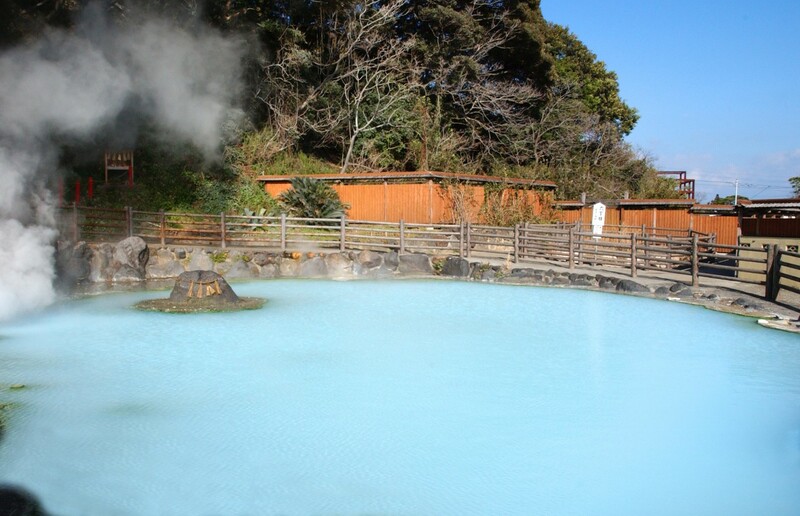 There are also secondary orange colored hells, as well as a large, clear water pond with lotus flower. 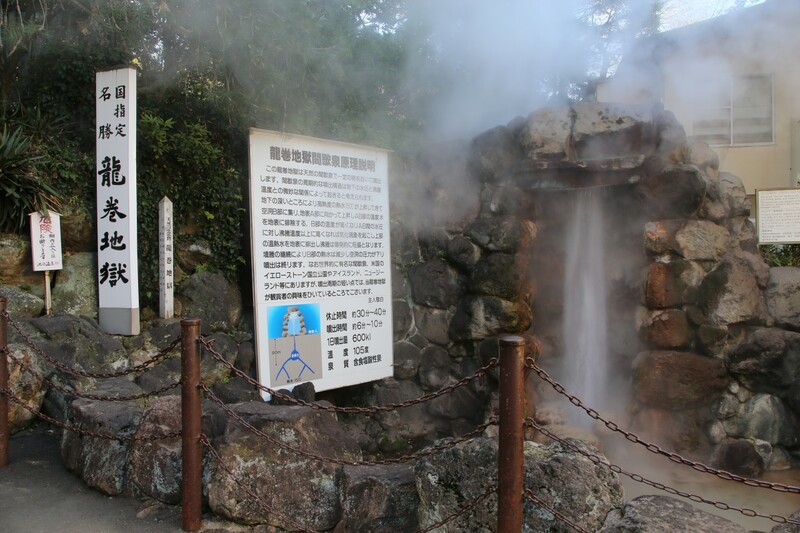 The leaves are said to be strong enough to carry small children.